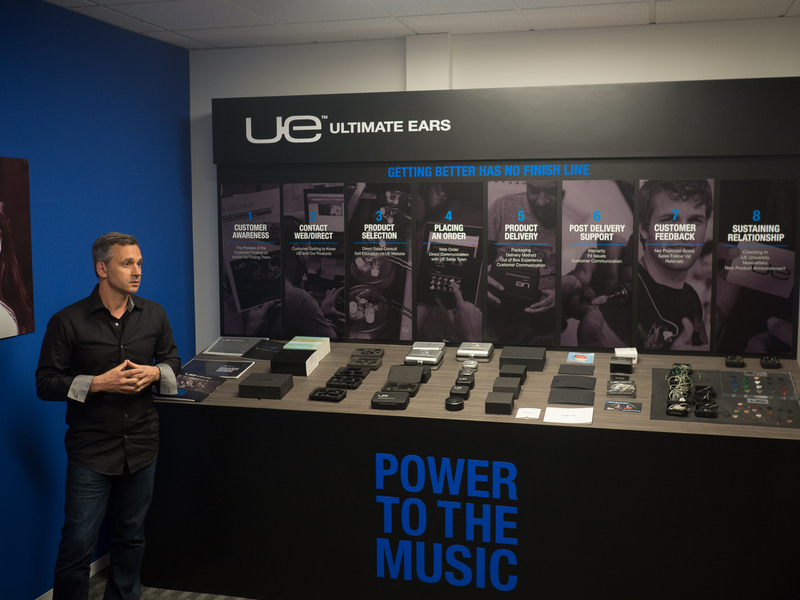 On Friday, I was part of a group tour at Ultimate Ears, conducted by General Manager Philippe Depallens. 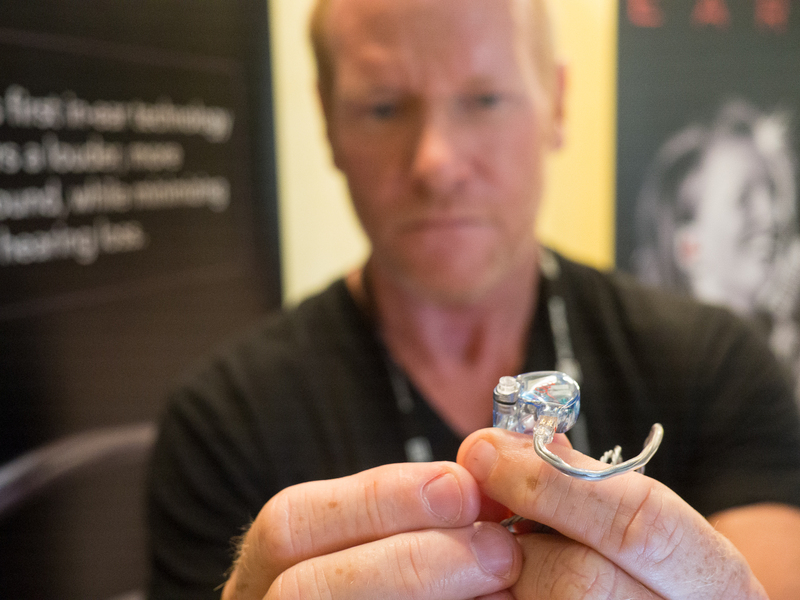 It was amazing seeing their two processes for creating custom in-ear monitors. The first involved the traditional method of taking ear impressions provided by the clients’ audiologists, casting them and using those to make a perfect custom fit IEM. 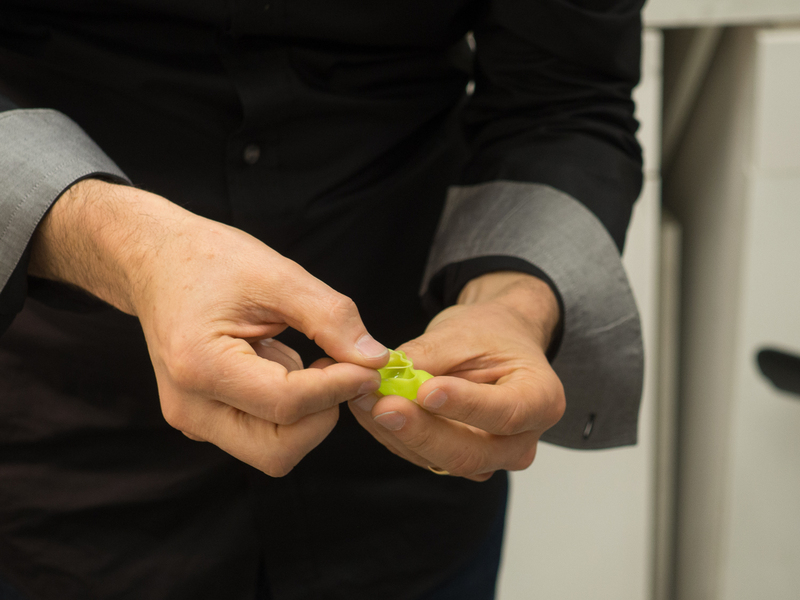 The newer method involves either taking those same impressions & scanning them with a 3-D scanner, or getting digital 3-D impressions taken, and then feeding the data from either to a 3-D printer. 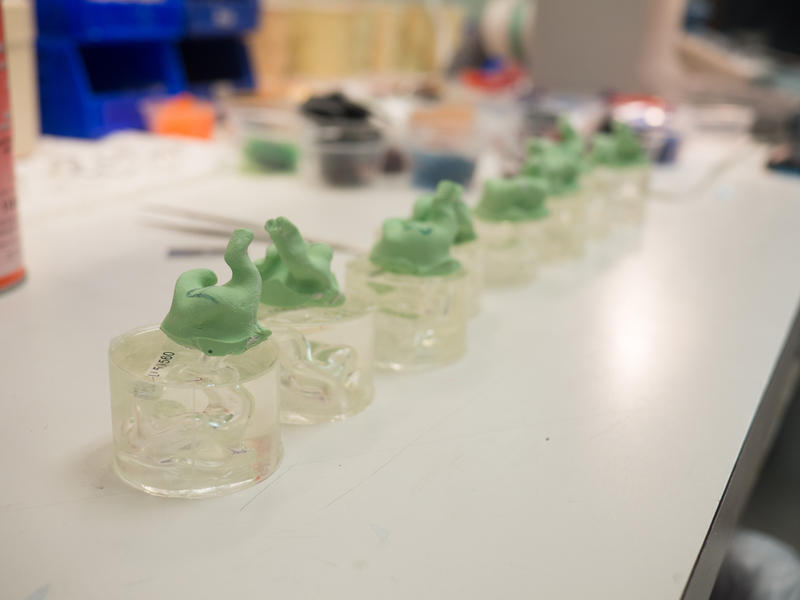 They have worked hard to ensure those 3-D printed versions are identical both aesthetically and sonically to the original method. This new approach has the potential to reduce the turnaround time from the current 5 days to as little as just 3! Why not just one day, you ask? 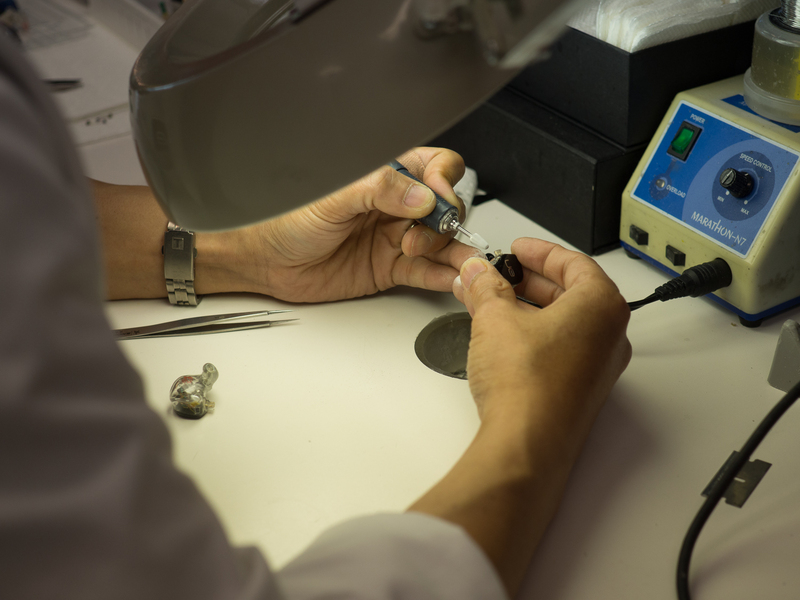 Because of the extensive and detailed by-hand work that is still involved in making sure the fit and finish is perfect, as well as the manual placement of the drivers and the custom backplate. It really is an impressive setup, and their attention to detail is commendable. While we were there, they also showed us their new demo app. 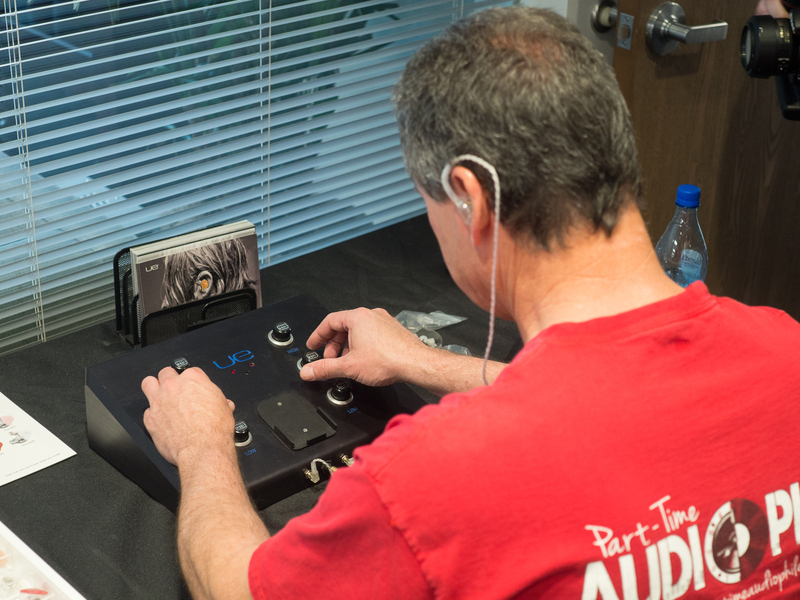 This was an iPad app that allowed the listener to hear the equalization differences between the different UE models without changing the headphones they were listening to. It made choosing the best model for me easy and quick! They plan to roll this out to their dealers over the course of the next year. At the actual CanJam venue, UE was giving free 3D digital impressions using their laser scanning machines. I had my impressions taken and the process was quick (under 5 minutes) and painless. They also had their full line available for testing. I think there will be a pair of UE Reference Monitors in my future … and now that they have my digital impressions on file, ordering will be easy! Noble makes some of my favorite IEM’s. I have been sporting a pair of Noble Universal 4’s for about a year. 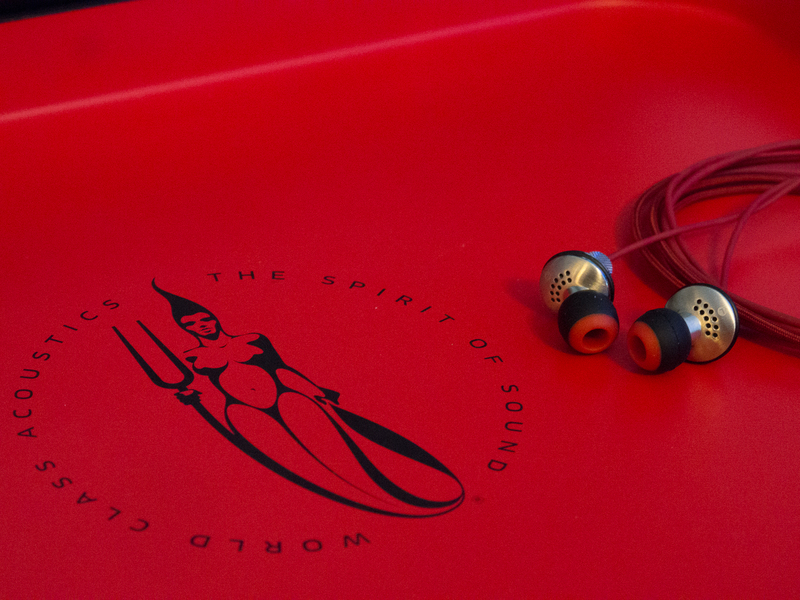 They have been my go-to traveling headphones. 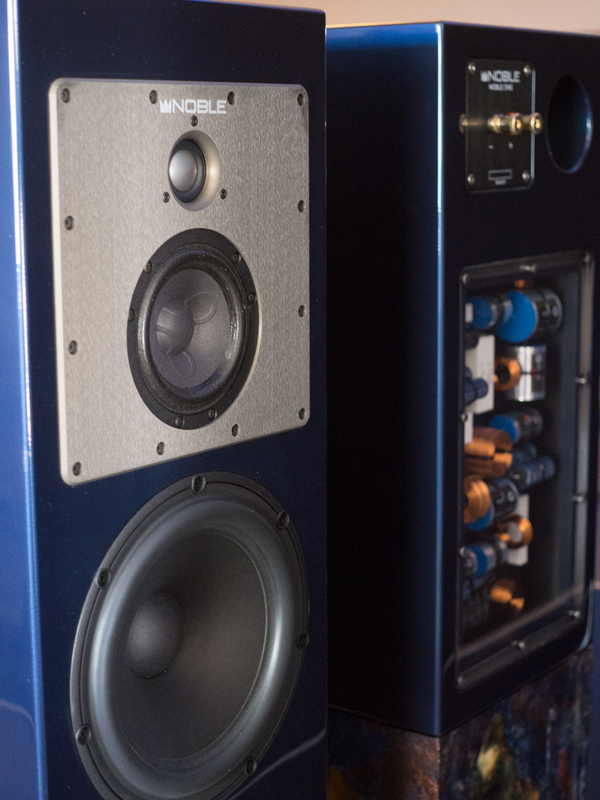 They are a flat, neutral reference sound and are a real bargain at $499 ($699 for the custom version). Their Kaiser 10’s are their flagship models and are a joy to listen to. They never fail to impress! Their ultra custom line (both “Wizard” and “Prestige”) offer some of the most creative and distinctive looks available. New this show was their first foray into loudspeaker design. They were showing off a stand-mounted 3-way speaker that featured a clear plexi-covered opening that allows you to see the MASSIVE crossover network. The crossovers were larger than many amplifiers! The other large thing is the price tag. 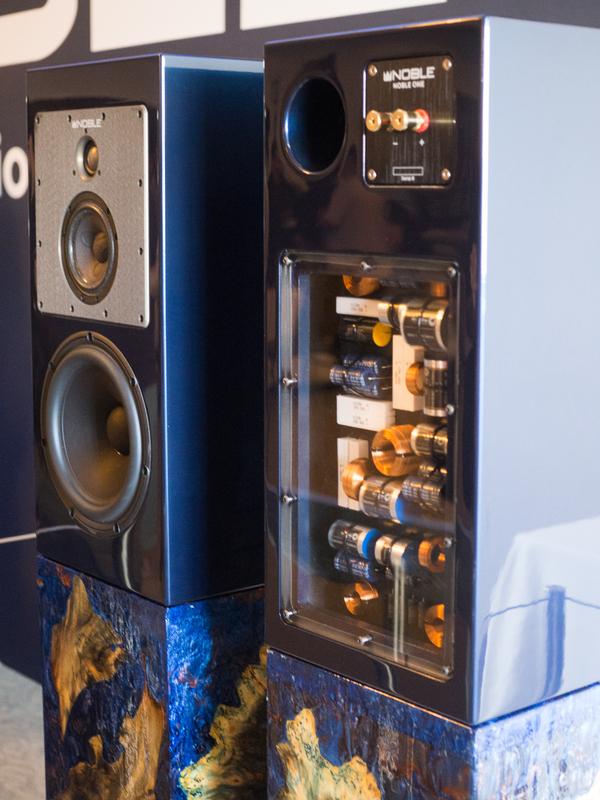 At $16,995, they are jumping in to the audiophile market with both feet. I look forward to being able to hear them! 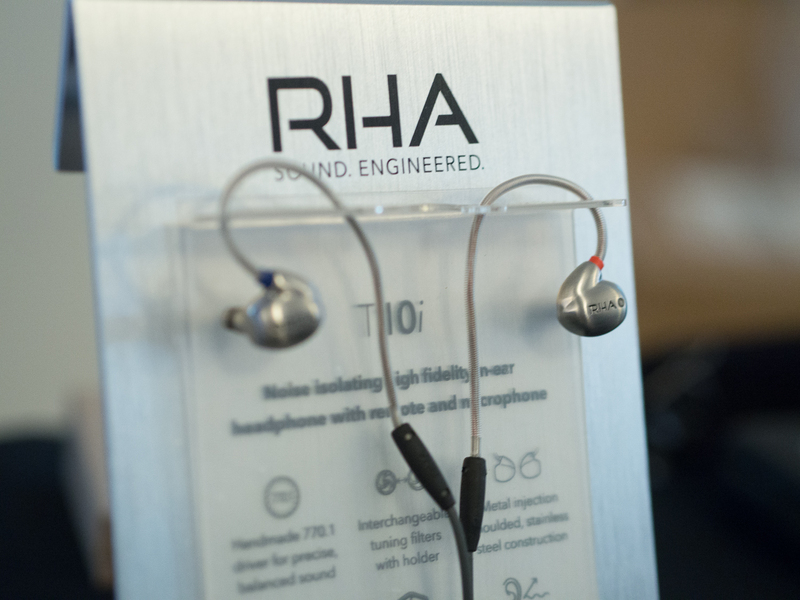 Like their IEM’s, they will offer the option to customize the cabinet … for an additional fee, of course. 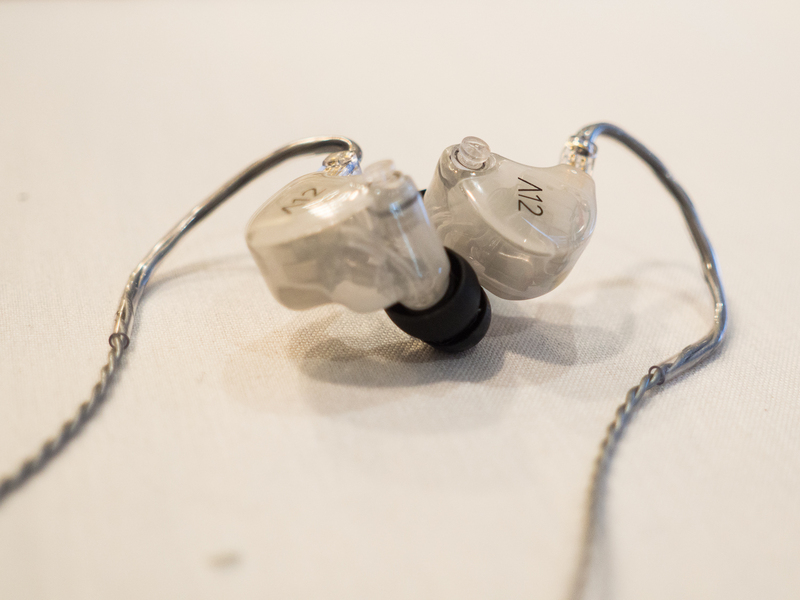 JH Audio has one of the most popular IEM designs in their Roxanne’s. Joining Roxanne are her two new sisters, Angie and Layla. Both feature a fully balanced armature. Angie has 8 drivers per side and an inline bass boost option that can offer you up to a 10dB boost at 60hz. Angie’s no cheap lady at $1,295, but she’s worth it … just ask her! Layla has 12 (twelve) drivers on each side and you can boost her bass up to a whopping 13dB with the inline booster. She will set you back $2,595. Andy Regan was on hand to demonstrate both models. While both designs sounded very good, I actually preferred the sonics of the Angie to the Layla…I guess that makes me a lucky guy. 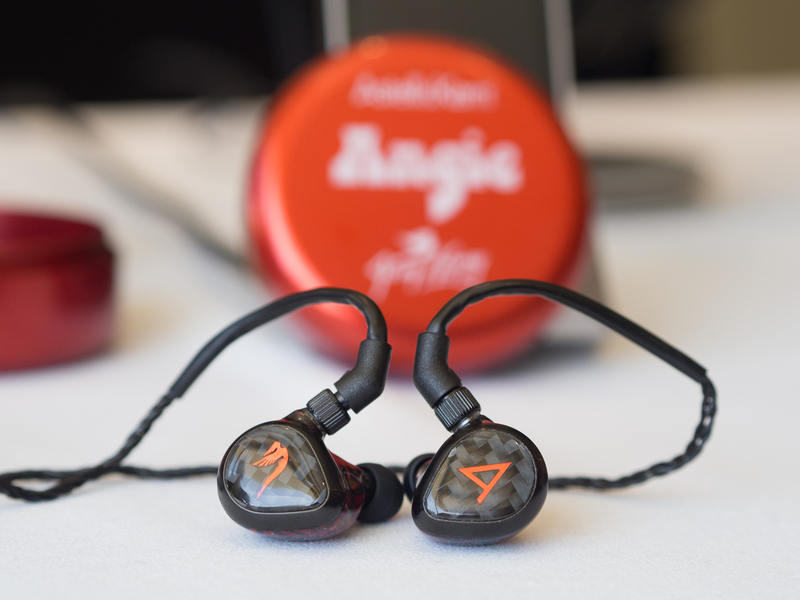 Astell and Kern are distributing the Angie and Layla in a universal form while JH will sell you a pair of custom Angie’s or Layla’s directly. 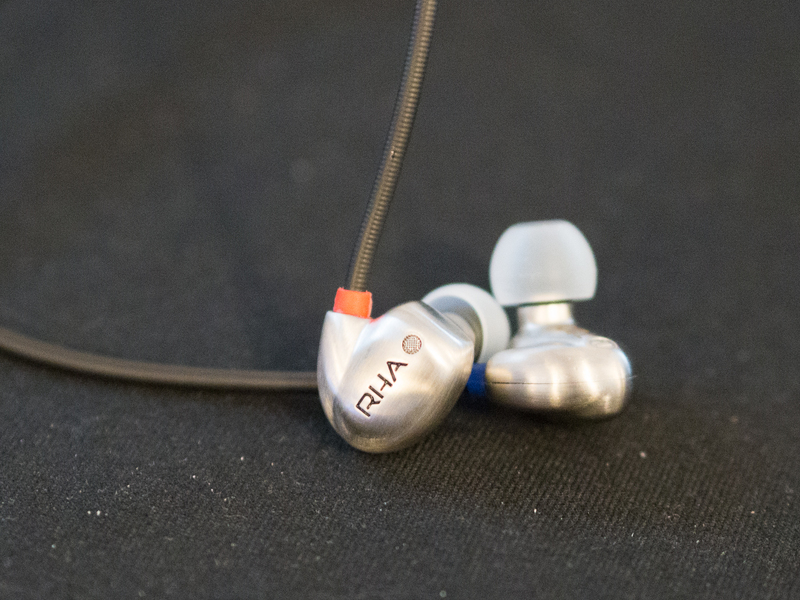 RHA is a universal IEM manufacturer that has gained some real traction among the Head-Fi members. 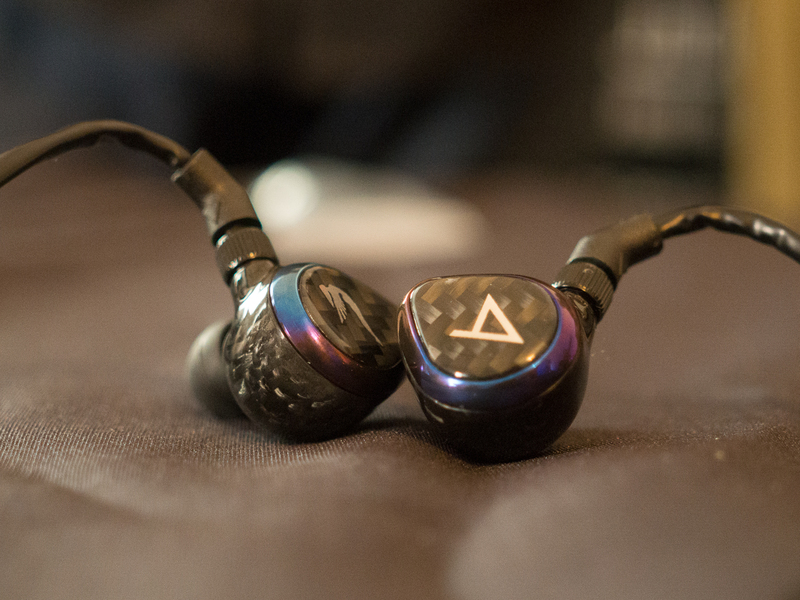 Their flagship T10i’s offer a beautiful all-metal casing that looks and sounds great. They feature a color-coded tuning mechanism to tweak the signature for treble freaks and bass heads alike! 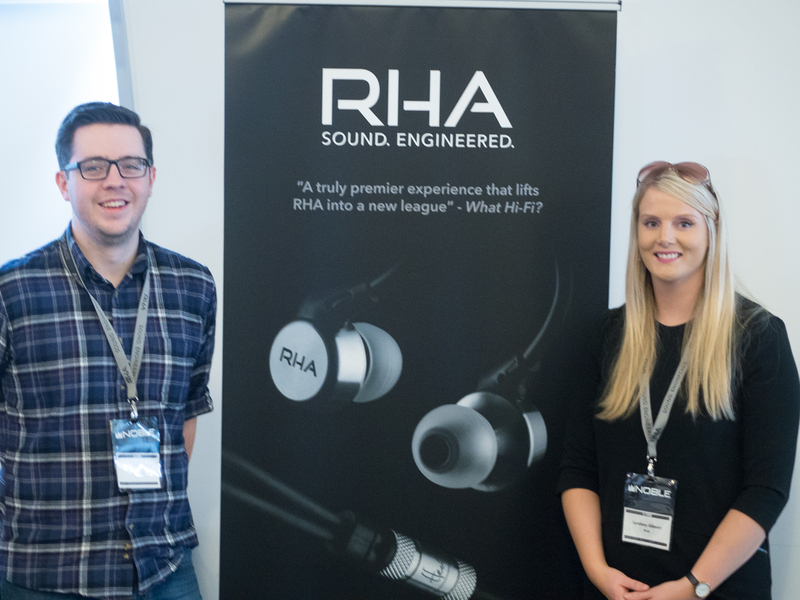 At the show Iain and Lyndsey from Glasgow-based RHA were also showing their new prototype T20i design that will have a brand new custom designed driver in the same casing as the T10i. I promised not to go into the details of the new driver, but suffice it to say that it’s some very cool tech! I had not ever heard the 1964 ADEL IEM’s and their RealLoud technology, but Chuck was more than happy to take the time to explain the concept behind it. It seems that sealing a custom shaped monitor in your ear canal creates no only acoustic pressure on your ear drum, but also pneumatic pressure. This, according to 1964, could be potentially damaging to your hearing They include a special port that is designed to release the pneumatic pressure while allowing the acoustic pressure thorough. They said that the surprise benefit was that they actually experienced sonic benefits as well! I auditioned their $1,999 A12 flagships and have to admit to hearing a very wide soundstage. These were tuned a little bassy for my taste, but the bass heads among you will love them! 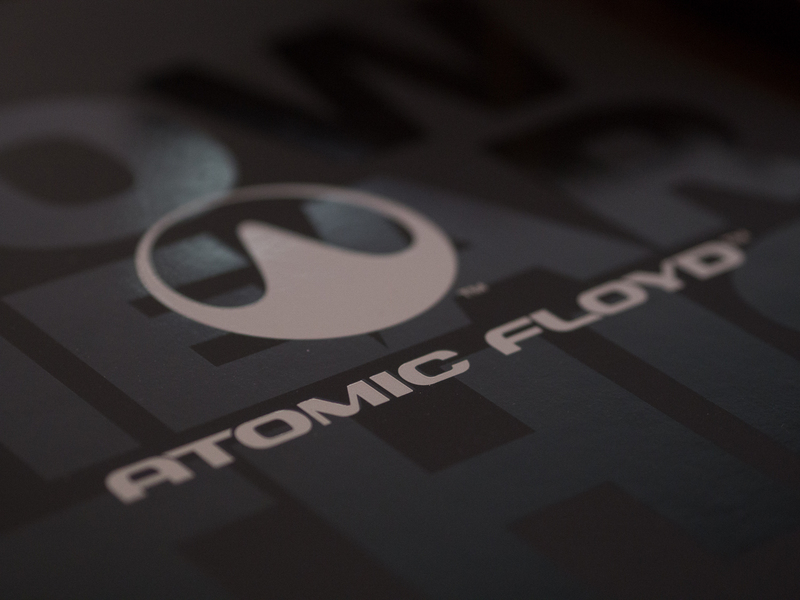 Another new-to-me IEM company was Atomic Floyd. 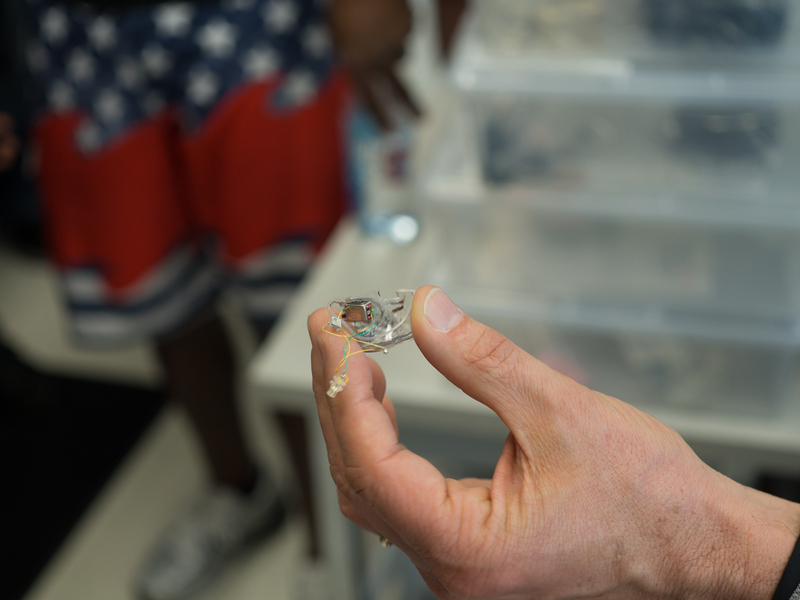 They also hailed from the UK and showed me a set of semi-open back IEM’s. This was a foreign design concept to me, but they did offer a very wide soundstage at the expense of isolation. These are not going to block out the airplane/subway noise, but they will give you a great soundstage in the right environment.